Kamal Uddin was born on 28th June 1984. His family originates from Bangladesh, however among his family he was born in England. Kamal grew up in Hyde, a town in Greater Manchester. In summer 1996 Kamal boarded an Islamic school in Bolton called Al Jamia-Al Islamiyya. He studied a course to memorise the whole Noble Qur’an. During the month of Ramadan in November 2000 halfway through his course, sadly his father Haji Malkas Ali passed away. By the grace of Allah at the end of 2001 Kamal finished his course and became a qualified Hafiz. Immediately after, The Hyde Jamia Mosque offered him to lead the next Ramadan prayers. At the time Kamal was only 17 years old. Having been successful he was offered to teach children at the Islamic Centre based in the Mosque and also to lead and call people to prayers. 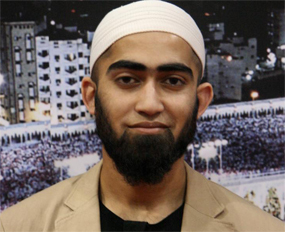 In September 2002 Kamal boarded Jamia Al-Karam in Retford to study Arabic grammar. After a year he returned back to Hyde Jamia Mosque to carry on his duties there. Knowing at an early age his talent in reciting the Qur’an and singing Nasheeds, he opened a Nasheed class where young children can enjoy learning about Islam by singing Nasheeds and also a separate Hafiz class so he can teach others to memorise the Noble Qur’an like himself. During January 2005, Kamal took his mother to Saudi Arabia, to perform the largest Islamic pilgrimage – Hajj. Having been inspired from his Hajj experience, Kamal started to compose his own lyrics for his first album. This was launched in August 2005 and became a huge success gaining Kamal his recognition as a Nasheed Artist after performing at the 1st Global Peace and Unity Event organised by the Islam Channel. 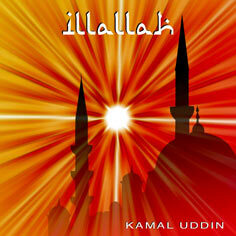 In May 2006, due to heavy demand from his listeners all over the world, Kamal released his second Album ‘Illallah’. This Album immediately became a bigger success selling in all leading Islamic stores. Shortly after in August, Kamal took a big step in his life and got married. Kamal has taken part in many performances throughout the U.K and has impressed the internationally known propagator of Islam, Dr Zakir Naik, whilst performing during his talks. He has also had the honour to perform alongside other Nasheed artists such as Yahya Hawa, Ahmed Bukhatir, Zain Bhikha and many more. He is now working closely with IQRA Promotions, Sheffield on many new projects including his third Album along with a Nasheed Video. An Imam, a Hafiz, a Haji and a Nasheed artist. A remarkable talented dear brother: Kamal Uddin. kamal uddin is the best! mashallah he sings beautifully!! I like your creativity.. Allah always blessing you, aamiin. May i get your recitation videos collection? Like surah ar rohman or surah as syurah? I like so much, because it so beautifull.